The best biking route is often very different from the best driving route. 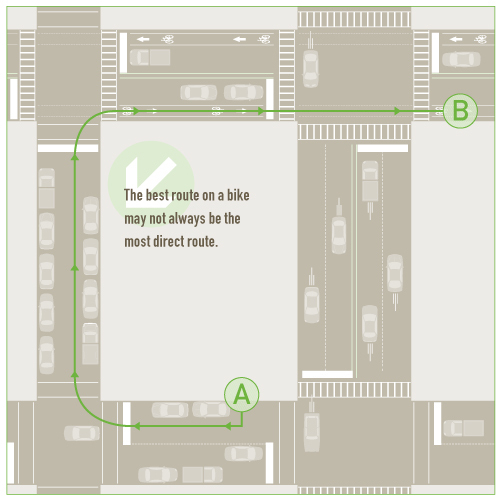 Follow these tips to plan out a safer, more effective route for bicycling. 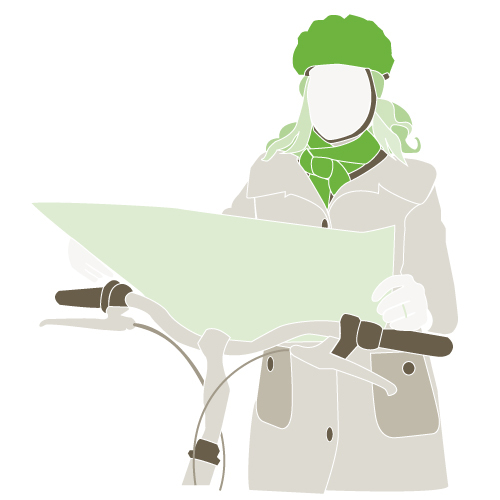 Plan your route using a bicycle map of your community, if available. Ride on streets with bike lanes and enough room to ride outside of the “door zone” when riding alongside parallel parked cars. Consider riding on residential streets when starting out, even if they take you a bit out of the way. Cross major streets at traffic signals.